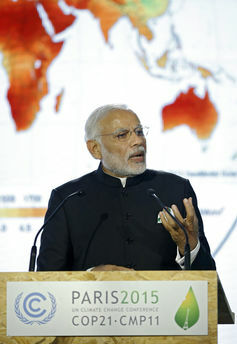 As the third-largest emitter of greenhouse gases globally, the pressure is on India to offer something meaningful at the Paris climate talks. Yet the country demands the right to develop and lift its population out of poverty. In its official submission to the summit, the so-called INDC (Intended Nationally Determined Contributions) which every country had to provide before negotiations began, India pledges to reduce the emissions intensity of GDP by 33 to 35% by 2030 based on 2005 levels. It proposes to achieve this by investing significantly in low-carbon technologies. But do these numbers stack up? It may have the third highest greenhouse gas emissions on the planet, but India’s emissions per person are much lower than those of all so-called developed countries. This is why stakeholders insist on India’s right to develop. Key concerns are energy poverty – one in five Indians lacks access to electricity – and the need to provide jobs for the fast-growing population. Both will involve the expansion of energy-intensive industries. Although renewables will contribute up to 40% of India’s electricity by 2030, the country is also forecast to become the largest source of demand growth for coal globally. India has significant growth potential for hydropower, and the INDC contains a pledge to “aggressively pursue” its development. There is no clarification made about what type of hydropower this will be. Of the existing installed capacity in hydro of 46.1 gigawatts (GW), only 4.1 GW is small hydro. There are concerns especially about the 292 dams that are supposed to be built in the Indian Himalaya region, which is extremely earthquake-prone. Large dams affect millions of lives, none more so than those displaced by construction. 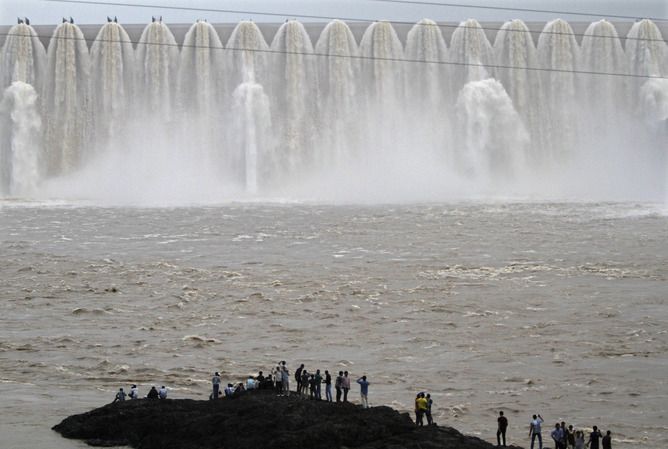 The Narmada valley project is a classic case. Land is grabbed from small farmers and rural communities, increasing the pressure on already expanding urban centres. In one state alone, some 100 dams have displaced 700,000 people according to the government’s own figures. The electricity generated by large hydro projects is always destined for the national grid. The rural poor living with energy poverty rarely see any benefit. No wonder movements such as the Narmada Bachao Andolan have focused on alternatives to big dams. At the Paris climate talks, a coalition of 300 civil society organisations from 53 countries released a manifesto asking for climate initiatives to preclude large hydropower projects. The most glaring aspect of India’s INDC is the classification of coal as a “clean” source of energy. The submission states that India generates 60.8% (167.2 GW) of its power using coal; the mention of mandating the use of “highly efficient supercritical technology” for coal plants indicates that coal will continue to be at the centre of its power generation strategy. There is a fundamental contradiction between this coal usage policy, which requires a massive expansion of homegrown extraction, leading to large-scale deforestation in India’s coal belt, and its plan to meet carbon emissions reduction target by offsetting 100 million tonnes of CO2 per year by planting trees. The INDC goes so far as to commit to increasing the forest cover by between 2.5 million and 3 million tonnes of CO2 equivalent by 2030. This is despite evidence that Indian forests are significantly degraded and that between 1980 and 2007, 1,140,177 hectares of forest land were diverted for non-forest purposes with another 180,000 hectares having been diverted in the past five years. India’s pledges do not effectively reconcile the needs of development with sustainability. Even renewable energy can have severe social and environmental implications, and it is glaringly obvious that coal can never be clean, even with massive carbon offsetting. India is not alone in this conundrum. As the developing world tries to catch up with countries that have already emitted carbon for centuries, while replicating their energy strategies, the fundamental contradictions of the world’s dominant approach to development become obvious. The Paris climate talks will not provide new answers to these deep-seated challenges. Countries like India will continue to insist on their right to narrowly defined development. Their elites do not realise that they are following a failed and fatal model.